I've received a few e-mails about the use of Dutch-processed cocoa powder in my cookbook, so I thought I'd give everyone a quick rundown. Dutched cocoa powder is made from shelled cocoa beans that have been treated with an alkali solution, such as sodium or potassium carbonate, to enhance its colour and mellow out the flavour. Natural cocoa is not treated, and hence, it is mildly acidic. If you check "The Facts" page of Scientifically Sweet, there is a comparison and an explanation of what they are and when you can and can't use them interchangeably. Dutched cocoa is any cocoa powder that has potassium or sodium carbonate on the ingredient list. It doesn't necessarily have to say "Dutch Processed" on the label. In the U.S. Hershey's natural cocoa is very prevalent, but that is not the case in Canada. 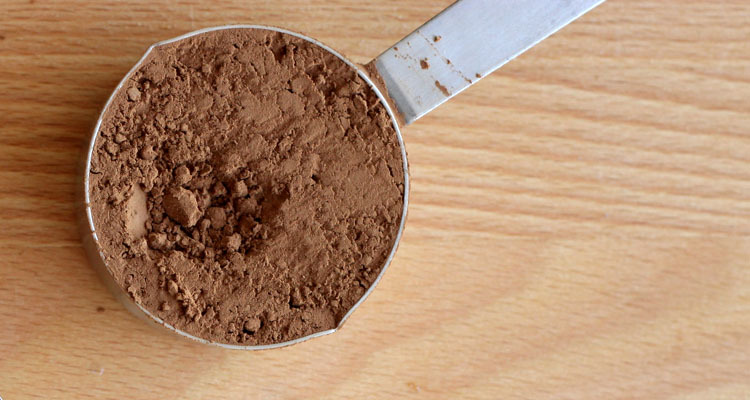 In Canada almost all cocoa powders found in your local grocery are at least mildly Dutched. I formulated all of my recipes using a light-ish coloured Dutched processed cocoa powder called Fry's. This means that none of the recipes rely on cocoa as an acidic ingredient to provide majority of the leavening. So, you can use natural cocoa in place of Dutched with just slight differences in flavour, but you cannot use Dutched in place of natural cocoa in case the recipe depends on the acidic nature of natural cocoa. This is why I used Dutched cocoa consistently in all of the recipes. So, go ahead and substitute for natural cocoa. You should only expect very minor differences, mainly in colour. I hope this feeds your curiosity! I really like the ruby red dutched cocoa powder from the Bulk Barn. It has a crazy rich flavour. Have you ever used that one before?